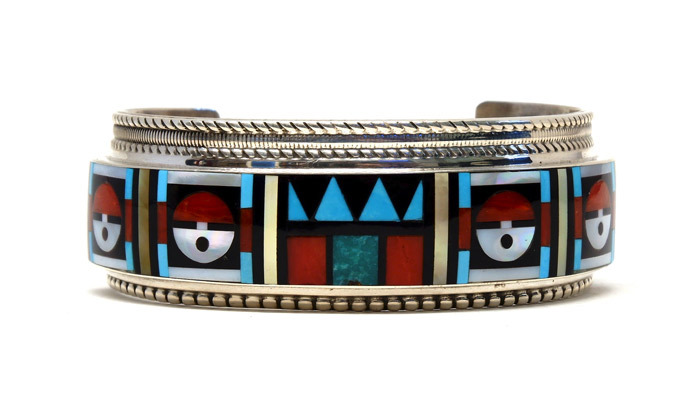 Large wrist multistone inlay with turquoise, mother of pearl, jet and spiny oyster sun face designs. 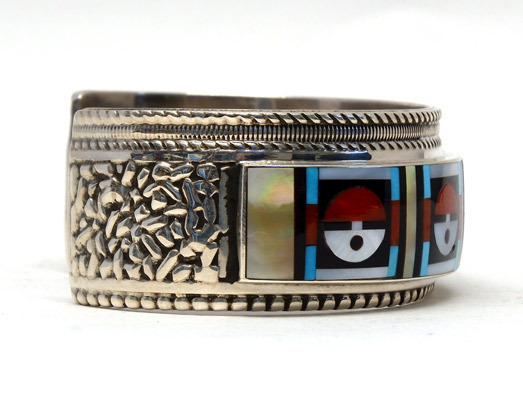 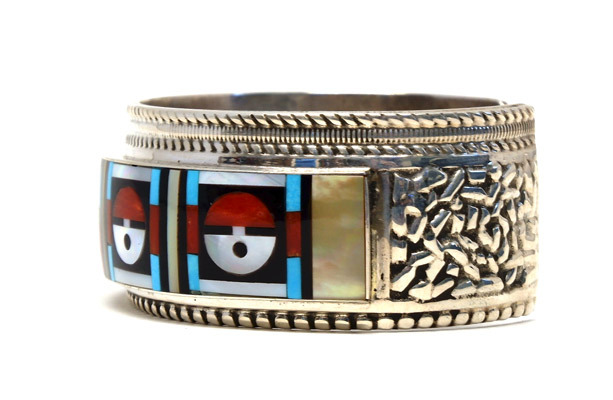 This bracelet is a heavy sterling silver cuff with rope, braiding and other designs and is by Zuni artists Rick & Lucy Vacit. 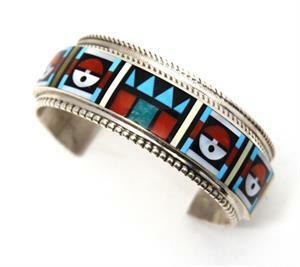 Bracelet siza 7.25", Opening 1.5" Width 1 1/8"